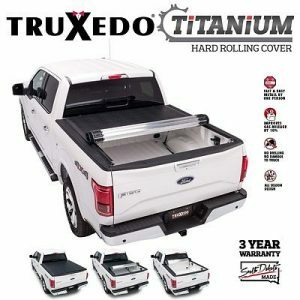 TRUXEDO TONNEAU COVERS - The Topper Shop Inc. The TruXport is a smooth looking top-mount, roll-up cover with quality features at an economical price. The TruXport is easy to operate with pre-set tension control and bows that conveniently roll up within the cover. A sleek, low-profile design is the signature of the Lo Pro. 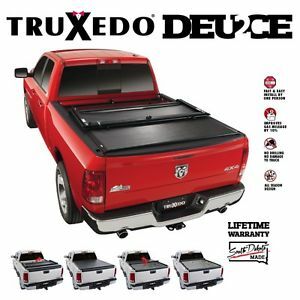 One look at this rolling cover is all you will need to make you a part of the TruXedo family. Not only does the Lo Pro look outstanding, but it’s constructed with a heavy duty aluminum frame and tension control to ensure your truck bed always looks its best, no matter what temperature it is outside. 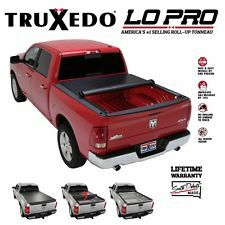 TruXedo presents the next addition to the roll-up cover line. Titanium is the ultimate combination of hard slats and soft vinyl, resulting in a stylish, low-profile, roll-up cover with the strength and durability of a hard panel tonneau. The Deuce doesn’t like to play by the rules. 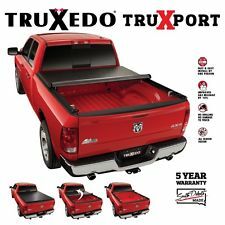 Not only does it roll up like a conventional tonneau cover from the rear, but with a pull of a latch the front flips over to allow you to access your bed from the driver or passenger side. Combining flexibility with the stylish low-profile design that only TruXedo offers is what makes the Deuce stand above the rest.